Mountain Mike Realty features Mountain Homes, Condominiums, Lots and Land for Sale in the High Country area of Western North Carolina. 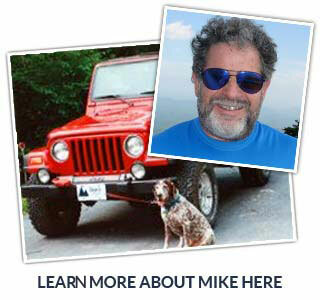 As a Member of the High Country Association of Realtors, Mike Goldstein is equipped and experienced to assist you in finding your dream home or mountain retreat property in the cool, crisp elevations of the Blue Ridge Mountains. It is My Goal to be the Best possible Realtor, offering my full trust and cooperation with everyone I represent. Understanding that a real estate purchase or sale is one of the most important decisions a family makes, whether it is a first home or fifth. If I represent you as a Buyer's Broker, I owe you my fiduciary duties, entirely to you, offering our professional guidance throughout the experience. If I represent you as the Seller's Broker, you have My promise of full trust, loyalty, and attention. We will do our best to sell your property as quickly as possible! We will advertise your property to the best of our ability, both locally, on the MLS, and the Internet. We will do our best to sell your property as quickly as possible, and achieve maximum profit for you. We will prepare a free Comparable Market Analysis for you, comparing your home with other recent similar sales in your area. Our goal is to offer personalized, professional service, not to become the biggest Realty firm, but to remain the biggest hearted firm, in the same warm, friendly, family oriented ways of the residents of the High Country.